Report: Selanne postponing decision until September. Teemu Selanne’s knee injury may leave the Ducks in limbo until training camp. According to Finnish newspaper Ilta-Sanomat, the 41-year-old right wing will not announce whether he’ll retire or re-sign before September. Selanne underwent arthroscopic surgery on his knee in June. In July, he told Ducks general manager Bob Murray that his recovery was on track. Selanne, an unrestricted free agent, is still without a contract for next season and would leave the Ducks with a gaping hole at right wing if he doesn’t re-sign. Clearly, the team is counting on a full recovery and the same passion from Selanne that led to his 31-goal, 80-point season in 2010-11. In the meantime, the waiting continues. Rakell goes to Ducks at No. 30. The Ducks selected Rickard Rakell, a Swedish-born forward from the Ontario Hockey League, with their lone first-round draft pick Friday after trading down to No. 30. The Ducks also acquired the 30th and the 39th overall picks from the Toronto Maple Leafs in exchange for the 22nd overall pick. well, especially with the Ducks,” Rakell told reporters in Minnesota. years” away from the NHL according to NHL Central Scouting’s Al Jensen. star right wing Teemu Selanne, who is contemplating retirement. Teemu Selanne told reporters before leaving Honda Center today that he plans to talk in depth with Paul Kariya about a possible reunion in Anaheim. Kariya has not played in a year because of lingering post-concussion symptoms, which led Selanne on a tangent about hits to the head in the NHL. It was then suggested that Selanne become the NHL’s discipline czar when he does retired. How Paul Kariya figures into Teemu Selanne’s plans. 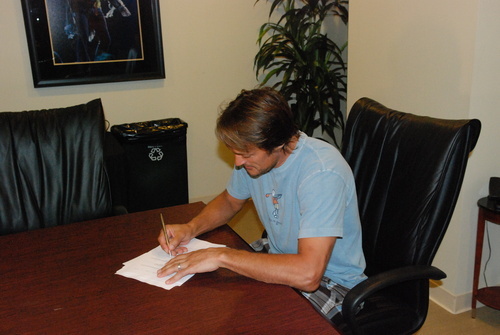 Teemu Selanne’s decision to play another season in the NHL will depend in part on … Paul Kariya? Selanne said Tuesday that he’s interested to know if Kariya would return to Anaheim after missing all of the 2010-11 season with post-concussion symptoms.